After being dethroned late last year by Huawei as the maker of the best Android phone in the world, with the Mate 20 Pro staging a successful coup against the Galaxy Note 9, Samsung appears to be fighting back by arming its 2019 flagships, the Galaxy S10 and Galaxy Note 10, with a powerful new weapon. That weapon? As the official dispatch announced mere hours ago on Samsung's official newsroom states, the South Korean maker has just begun mass producing the "industry's first one-terabyte embedded Universal Flash Storage drive for next generation mobile applications." Ice universe is rarely wrong when it comes to Samsung leaks and, coming when it did after the official announcement, that seems to us here at T3 as basically an official confirmation that the top-spec Galaxy S10+ phone will come packing the new super large storage drive. It is important to remember here that right now Samsung's Galaxy Note 9 and Apple's iPhone XS Max at top spec are the only flagship phones that offer even half that storage capacity internally that this new drive offers. Last year Samsung hung a large part of its Note 9 advertising campaign on how users could access 1TB of storage if they bought a 512GB microSD card, but that left a 50/50 split between internal and auxiliary storage, which was not ideal as microSD speeds are no where near the same as Samsung's V-NAND Universal Flash Storage. Indeed, Samsung states in its official announcement that its new 1TB storage delivers "10x the speed of a typical microSD card for data-intensive applications", as well as read and write speed boosts over the previous flagship drive, the Samsung 512GB eUFS 2.1. This really is a powerful new weapon in Samsung's armoury for one main reason: top-spec flagship phones are increasingly being marketed as laptop replacements, with the incredible processing power and storage in a mobile being harnessed by pioneering new desktop-mode hardware like Samsung DeX. Suddenly, the power of that super large and fast new storage tech in winning the day for Samsung becomes apparent – it will allow users to have a genuine laptop mode experience, with the storage available allowing users to edit and store massive Photoshop files, download and keep a library of UHD 4K movies, and run their entire digital office with all its associated files on one mobile device. Rival phones with only 256GB, 128GB or 64GBs of internal storage will simply be left behind as a different tier of devices, unable to offer their owners the necessary storage and speed to genuinely leave their laptop at home. Can Samsung's new storage tech help its 2019 flagship phones dethrone the current best Android phone in the world, the Huawei Mate 20 Pro, as well as fend off the incoming P30 Pro? 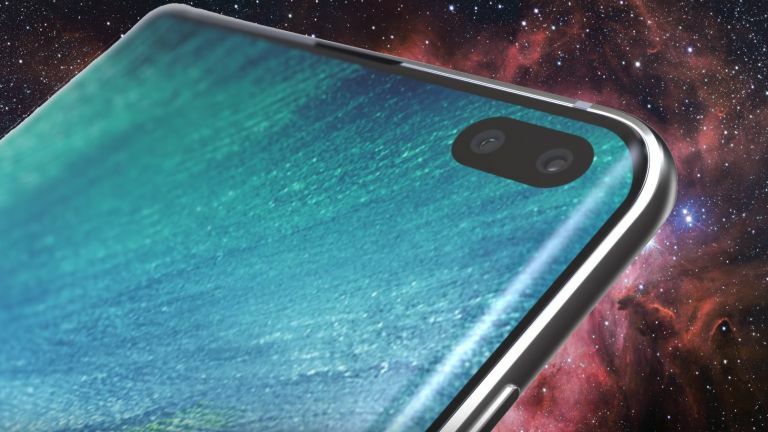 We feel this advance really does bat the ball back into Huawei's court right now, as while the Chinese maker has been killing it as of late – notably with the Huawei Mate 20 Pro – its storage options and desktop mode software are not at the same level as those offered by Samsung, which with the introduction of the new Samsung 1TB eUFS 2.1 will only accentuate further. As such, unless Huawei can match Samsung's impressive storage capabilities in its incoming P30 range, most likely in the P30 Pro, then the South Korean maker could be left with an open goal. Hopefully we will get to go hands-on with the 1TB drive-packing Samsung Galaxy S10+ at the maker's Unpacked event in a couple of weeks or, if not then, definitely at Mobile World Congress 2019, which T3 is attending. No doubt we will also hear of developments from Huawei, too, with its P30 range heavily rumoured to be getting an official reveal.